For centuries, the woods have been a pivotal part of the wonder and danger of fairy tales, for once you enter anything can happen. Elves, druids, fairies –who knows what you will find once you dare step into the forest? And now, New York Times bestselling author Kim Harrison ventures into these mysterious, hidden lands of magic and mystery in her first short-story collection. Into the Woods brings together an enchanting mix of brand-new, never-before-published stories and tales from Harrison's beloved, bestselling Hollows series. The tales here include an original Hollows novella, Million-Dollar Baby, about Trent Kalamack's secret elven quest in Pale Demon; two original short stories, "Pet Shop Boys" and "Temson Woods," that explore just what happens when humanity and the supernatural collide; and two novelettes, "Spider Silk" and "Grace," set in new worlds of imagination and adventure. Into the Woods also contains all of the previously published Hollows short stories – together in one volume for the very first time. 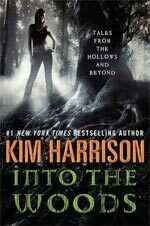 Into The Woods (Tales from the Hollows and Beyond) is a collection of short stories and novellas by bestselling urban fantasy author Kim Harrison. In total there are eleven stories in this collection, seven from Harrison’s popular Hollows series and four other urban fantasy stories not from the Hollows world. Six of the seven Hollows stories have been published before in other publications, so only Million Dollar Baby – the story of how Trent kidnaps his baby daughter – is original to Into The Woods. Meaning that if you are an established Hollows fan there’s a good chance you’ve read the majority of these stories before. Of the Hollows stories there are three shorts and four novellas. I personally believe that Kim Harrison shows her greatest strengths as a writer when she’s given a longer word count and would enter this collection into evidence to support that theory. The best short story in Into The Woods is “Dirty Magic”; it features Mia the hungry banshee, and main antagonist, from Black Magic Sanction. It follows established short story conventions – it’s quick, punchy and has a great twist – and is generally an entertaining read. The other Hollows short stories are “The Bespelled” (featuring Al) and “The Bridges of Eden Park” (featuring Rachel and Kisten). Both of these shorts are more like deleted scenes – they give readers a snapshot of the characters but don’t actually stand on their own in any meaningful way. The novella length stories are much better, they work on their own, as well as a part of a series. It’s hard to pick a favourite because they are all good. Each story features a different character in the lead role so I suspect personal preference will come down to which character a reader loves best. For me it’s Jenks, and his story “Ley Line Drifter” was my favourite from the collection. It is the tale of Jenks’ first solo investigation on behalf of another pixy from the park, whose home and family is under threat from a possessed statue. The story is told from Jenks’ perspective, and readers gain an insight into the pixy and his history, plus a greater understanding of his love of his family and how much of a pixy pioneer Jenks really his – eschewing generations of pixy tradition in order to provide for his family and keep them safe. Throw Bis, Ivy and a dangerous nymph into the mix and the result is a story that’s both funny and exciting. “Two Ghosts for Sister Rachel” is story about a younger Rachel and her family relationships. It introduces Pierce, the ghost from later Hollows series instalments, and although the story is set at Christmas time it’s not an overtly Christmas story. “Undead in The Garden of Good and Evil” is a story about Ivy, set in the time just before she met Rachel. It shows some of Ivy’s mental damage and gives insights into her vampire background and her motivations – once again showing readers why Ivy is one of the most interesting female vampires in urban fantasy fiction today. “Million Dollar Baby” features Trent and is the mystery, untold part of full-length series novel, Pale Demon. Reviewing that novel I commented on how I felt that I had missed out on an exciting adventure when Trent and Jenks left for their baby stealing mission because the actual events weren’t covered within that book. The story is told from Trent’s perspective but there are plenty of contributions from Jenks to keep the story light whenever Trent’s introspective, angsty self-examinations get too much. Finally readers can catch up on that missing part of the story and it’s well worth the wait. It’s a dangerous mission for Trent, since the only options are success or certain death at the hands of Ellasbeth’s family, and he needs all of his and Jenks’ skills to keep him one step ahead of Ellasbeth and her many henchmen. Of the stories from Beyond The Hollows, the ones not set in the Hollows world, there isn’t a lot to write home about. The best of the bunch is “Pet Shop Boys” a tale which mixes vampire and fae mythology with pet shops and nightclubs. 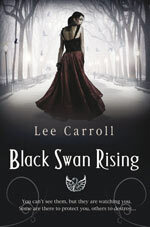 It features vampires and kittens, and an odd little girl who tries to trade away her sibling (some of my most favourite things) so I liked it well enough – and if vampires, kittens and creepy weird kids don’t float your boat there’s still just about enough action to keep the average fantasy fan entertained. The other three non-Hollows stories didn’t do much for me. The two stories featuring dryads and the one set in the world where some people have the ability to bend energy seemed more filler than killer, if you get my drift. Into The Woods is generally entertaining and exciting. It’s well worth reading for the Hollows stories alone, making it a must-read for series fans. Just remember that only one Hollows story is completely new to this collection. You can read excerpts from all of Kim Harrison's books at her website. Visit Kim's site.